They are physicians who specialize in the medical care of infants, children, and adolescents in the primary care setting. 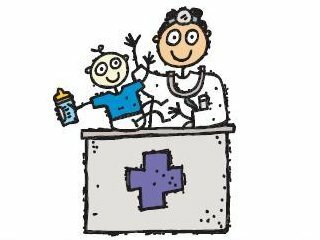 Pediatricians take care of injury, disease prevention, diagnosis, and basically maintain the well-being of their young patients. If you were in high school and you needed a physical check-up before joining a sports team, then you would go to a primary care doctor, specifically a pediatrician, if available. How much do pediatricians make? Pediatricians make from a rage of $135,447 to $224,202 with a median salary of $172,526. Many factors affect the salary of a pediatrician such as the location of the job and the institutions one works for. Working in rural areas will have a higher payout than working in urban areas due to the lack of physicians in the rural areas. How to be a pediatrician? Do you think you want to be a pediatrician? First you have to ask yourself, do you like children? If you don’t like kids, then stay away, stay far away from this specialty. Pediatricians must interact with children in order to properly take care of them so, that means they have to be patient with children. According to some doctors sometimes the parents become a nuisance because they try to dictate which treatment is the best for their child against the doctor’s orders.